The first feature film for director Chris Baugh, Bad Day For the Cut is a very effective thriller, tinged with black humour and containing a lot of brutal violence. It's a film about the destructive nature of vengeance and the banality of evil. When we meet Donal at the start of the film, he's a sweet, innocent man, happy with his lot in life, fixing cars for locals and minding his own business. That all changes one night when he wakes to find a couple of men leaving the house, his mother dead inside. That might have been the end of it. The police have little to go on (Donal only got a glimpse of one of the men) and the crime seems to be motiveless except as a burglary gone wrong. However a week later two other men arrive with the intent of killing Donal and making it look like a suicide. This is a very tense scene with a couple moments of hilarity. The hanging goes wrong in the best way possible and in the ensuing chaos Donal gets the upper hand on his erstwhile killers. The action moves to Belfast, as Donal seeks answers. It leads him to a terrifying gang of criminals running a series of brothels all over the city, forcing Polish girls to do their bidding. There is a horrific moment when they murder one of the girls with a swift blow of a hammer to the head. There is no emotion in the killer's actions, its just business - evil at its most banal. 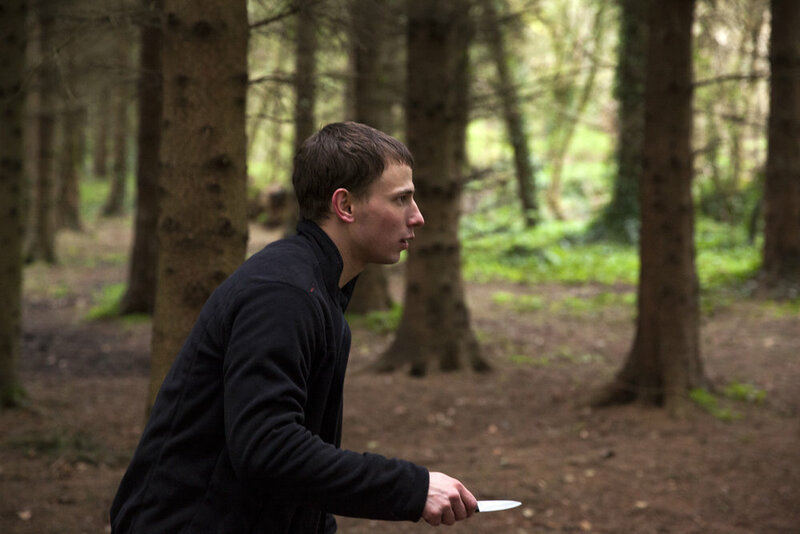 Donal ends up helping one of his supposed killers, a Polish man called Bartosz who is desperate to find his kidnapped sister. Together they are able to work their way up the food chain, but the head of the gang is Frankie Pearce. Susan Lynch is great as Frankie, a completely unhinged psychopath who is so obsessed with avenging a crime that occurred when she was just a young child that she is blinded to what she could - and is - losing in her crusade of vengeance. How unhinged is she, you may ask? Enough to kill a guy with nothing more than a steam iron! In some ways Donal is a lot like Frankie. He has a tunnel vision, wanting to know why his mother was killed and what happened all those years ago. He has the opportunity to "get out" early on, but doesn't take it because he needs that moment of closure. The film comes full circle at the end, with Donal contemplating whether he's reached the end of the story or not. The one problem this film might have finding an audience is the thick Irish accents - they may prove too incomprehensible (perhaps like Trainspotting it'll get subtitles for its US release!). However if you are able to persevere with it, you shall definitely be entertained with a dark and sordid tale of vengeance begetting more vengeance.